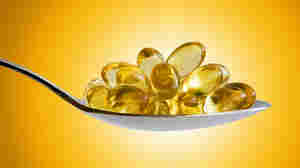 August 13, 2012  Calcium has been touted to stave off osteoporosis and promote bone health. 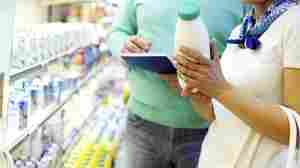 But new research suggests going overboard on calcium consumption could lead to kidney stones or even a heart attack. 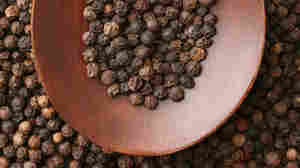 May 12, 2012  Black pepper and other spicy foods are often touted as weight loss aides, thanks to ingredients like capsaicin, but saying no to the freshly-grated Parmesan is more likely to help you lose weight. April 26, 2012  The American Cancer Society says there's strong evidence that an active lifestyle and a diet rich in fruits and vegetables can help cancer survivors live longer and stay cancer-free. But the latest guidelines take a dim view of nutritional supplements, which experts say can be harmful. April 19, 2012  The Aztec people believed chia seeds gave them the power to run faster and longer. Today, they're the latest healthy diet trend. But don't eat those old holiday gifts growing out of clay pots, the company recommends. December 6, 2011  Federal regulators want companies to stop selling homeopathic human chorionic gonadotropin to help people lose weight to stop. The regulators said the marketing of the products makes them "unnapproved new drugs" and that's against the law. November 15, 2011  A survey finds 42 percent of hospitals offer at least one type of complementary or alternative medicine treatment. Those hospitals that offer the options cite patient demand as the top reason. Clinical effectiveness is the No. 2 reason. October 11, 2011  Use of many common supplements — iron, in particular — appeared to increase the risk of dying, and only calcium supplements appeared to reduce mortality risk. The increased risk amounted to a few percentage points in most instances. April 20, 2011  The Federal Trade Commission has asked federal courts to put a stop to the activities of 10 different outfits that allegedly use "fake news websites" to tout acai berry weight-loss products. April 13, 2011  More women than men take supplements. And women 60 and over take the most of all, especially when it comes to calcium and vitamin D. Overall, multivitamins are the most commonly consumed supplements.